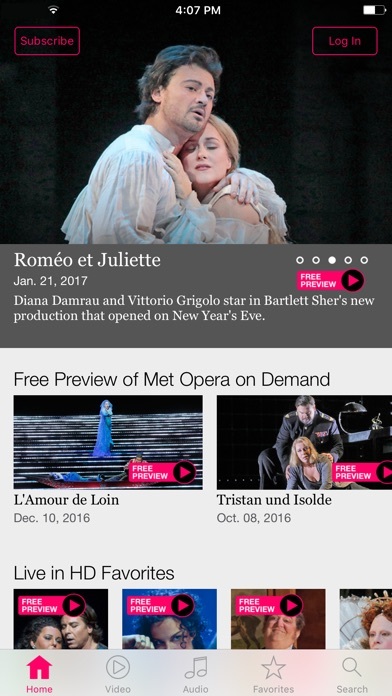 By Metropolitan Opera Association, Inc. Developer: Metropolitan Opera Association, Inc.
Hi! Great app but please change the Apple TV app audio options so I can play the sound through my HomePod. Whenever I play anything it reroutes through my crappy tv speakers. Thank you!! The app could be so much better if it offers offline download and updated screen resolution. This app has always been buggy, even with all the updates. It hasn’t worked for months - it will enter the home screen (and if I’m lucky, the login screen) and then immediately crash. I’ve tried deleting and reinstalling...same deal. I’ve even tried using it on other iPads...still crashes. I cannot believe that this app is so limited on the devices that it can be played on. I can stream everything on my Sony TV but not this app. Frustrating and disappointing! Nearly a after the debut of iPhone X, this app still isn’t optimized for the edge to edge display of said device. That’s inexcusable for a premium app. No matter what I do, the app crashes soon as I opened. A shame. 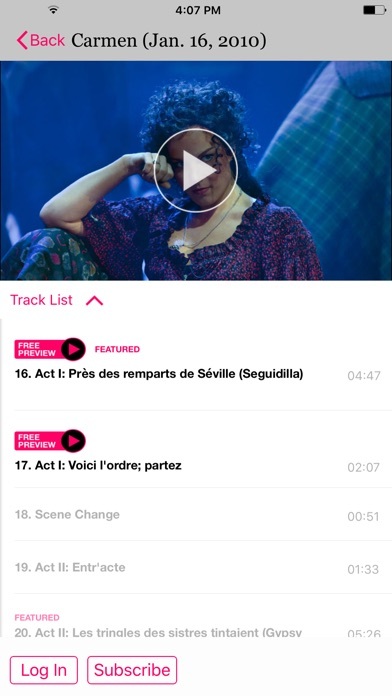 The app immediately closes as soon as it is opened. I have not managed to watch a single thing. 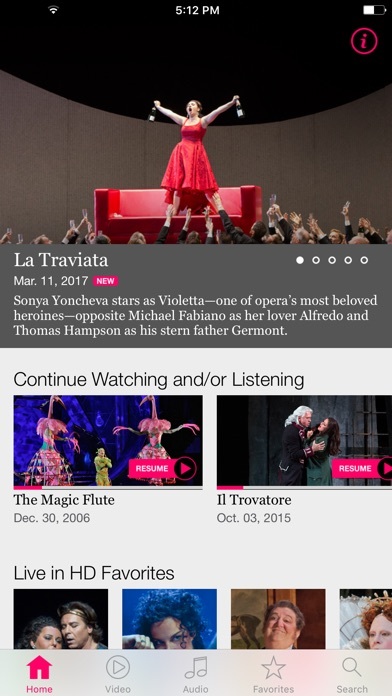 Love opera and the Met, but the failure rate of this app’s host servers is truly frustrating. The content will stop streaming a few times through each title, and resolution drops in and out all the time. These ubiquitous issues are suffered on our Samsung TV apps, iPads, Apple TVs, and iPhones. Again, wonderful content, but with the reliability of a teenager. I’m afraid that we’re compelled to unsubscribe. Please notify us when you get your game together. 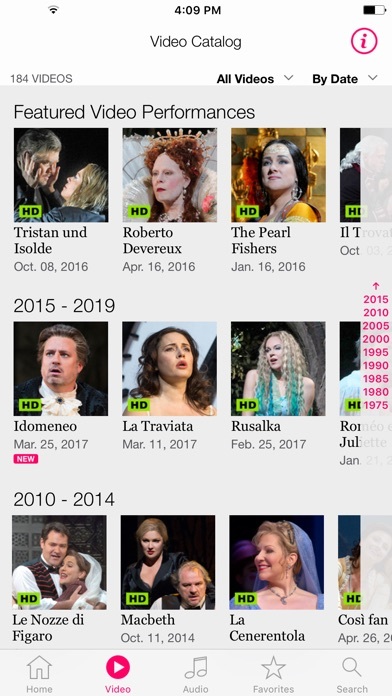 More by Metropolitan Opera Association, Inc.